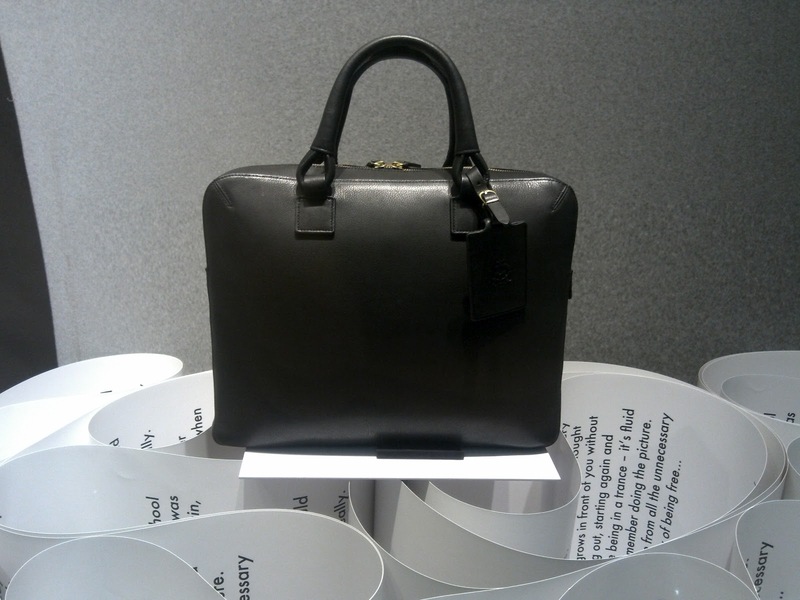 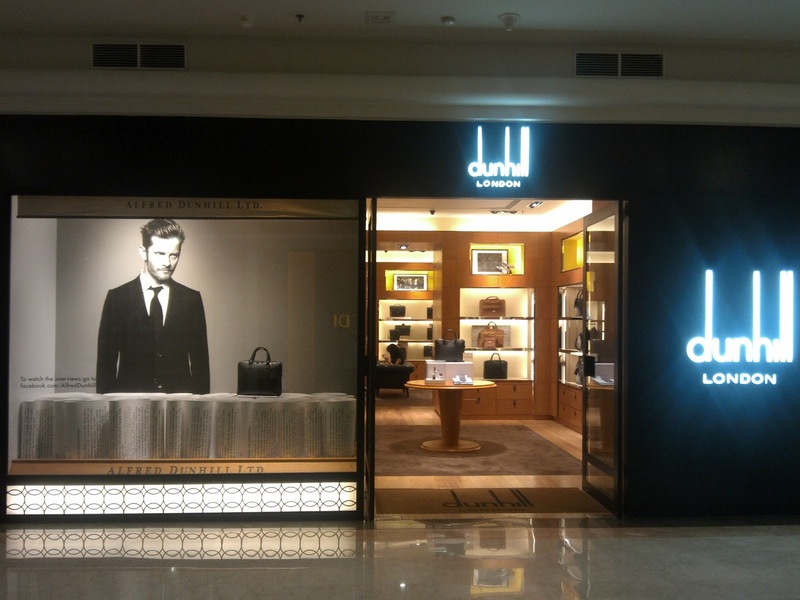 After closed its operation at Senayan City, Alfred Dunhill re-opens again its boutique at Plaza Senayan this month. 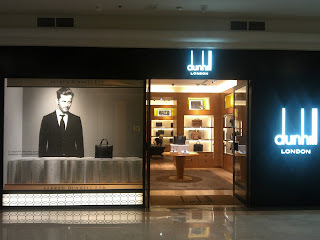 The new boutique features the classic elegance style design that is also used in other Dunhill boutiques. 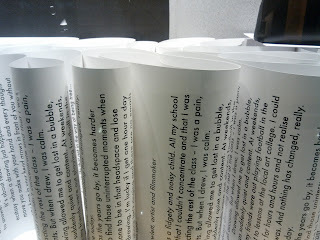 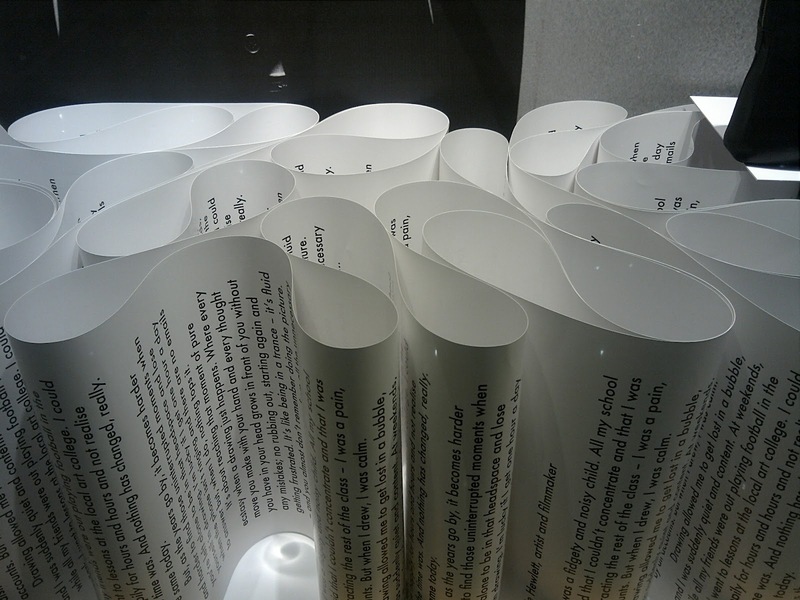 The window display ground is filled with rolls of papers. 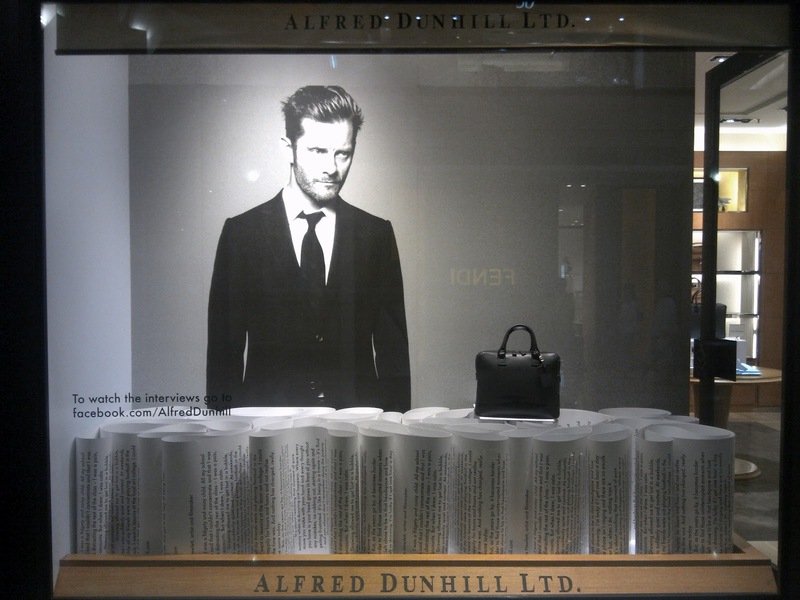 If you are willing to bend your head and read the writings inside them, you can find the interview result between Dunhill and Jamie Hewlett, an artist and filmmaker become one of the Dunhill faces for Fall/Winter 2012. There is also a man hand bag that is floating on top of those papers. This window, for me, looks very poetic and beautiful but not loose its masculinity.